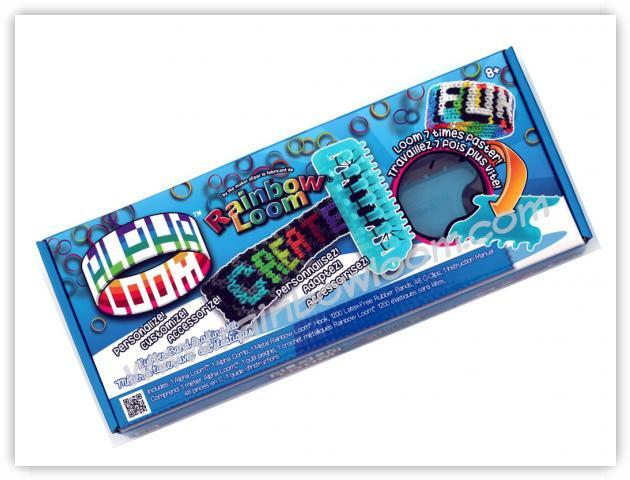 Rainbow Loom has created an Alpha Loom Kit. This specialty loom can be used to create large wide patterns, suitable for adding letters in the pattern, hence the name alpha for alphabet. The loom is molded from a single piece of plastic and has 2 rows of 7 pegs facing each other, for a total of 14 pegs. The kit includes 1 Alpha Loom, 1 Alpha Comb, 1 Metal Loom Hook, 1200 Rubber bands and 48 "C" Clips.